Sunny, relaxed and welcoming Malaga was practically made for slow travel! It’s fun to plan a whirlwind tour of multiple cities (or even countries) in a short period of time. But how much of the culture are you really going to take in? The honest answer: probably not much. The best way to truly live like a local is to spend several days in a place learning the rhythms of everyday life as locals go about their routine. 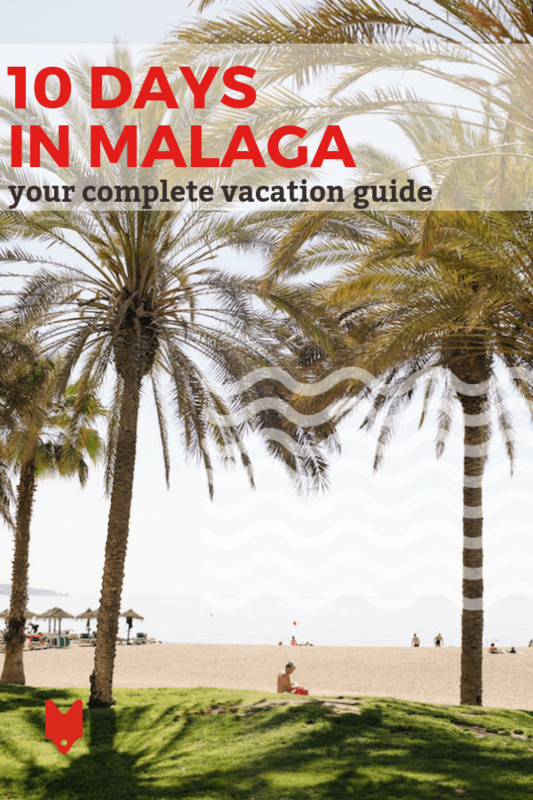 If that sounds good, a great place to start is Malaga. By the end of 10 days in Malaga, you’ll have checked all the major sights off your list, but also have a greater understanding of the ins and outs of this charming beachside city. Welcome to Malaga! 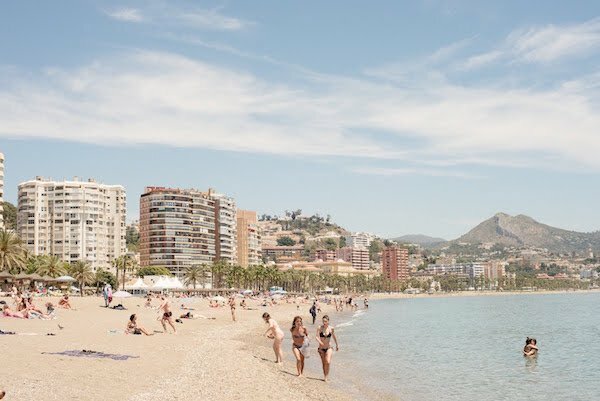 Traveling can be exhausting, so on the first of your 10 days in Malaga, take some time to simply relax on the beach after arriving. Head down to the shore and spend a few hours with your toes in the sand. It’s time to start getting in a vacation state of mind! The perfect place to start your vacation! After catching some rays, head back to your hotel for a quick siesta and to freshen up before joining our Tapas Like a Local Tour! This itinerary isn’t cut and dry, but the one thing you definitely have to do during your 10 days in Malaga is eat like a local, and we’ll show you exactly how to do it. 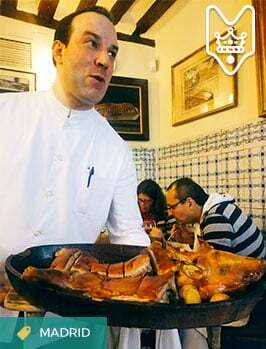 From the city’s oldest wine bar to a beloved tapas institution, you’ll get to know the places malagueños have eaten at for generations—and try the best bites at each stop! 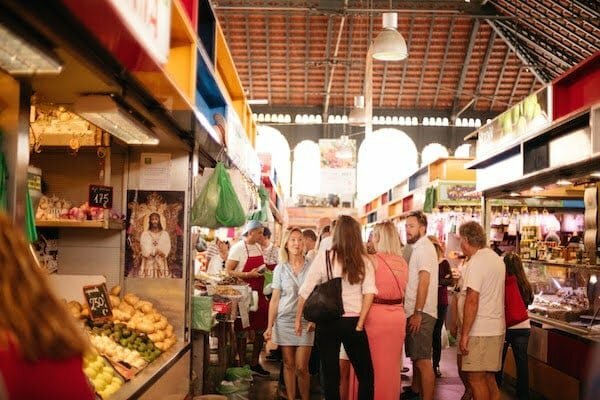 Sleep in and head to Malaga’s emblematic market, the Mercado Central de Atarazanas (Calle Atarazanas, 10), after a relaxing breakfast at a local cafe. Take some time to wander through the stalls, sampling various products from the vendors who, in many cases, are carrying on a proud family tradition. Pick up a few things (jamón is a must) for a relaxing picnic in the park later on. 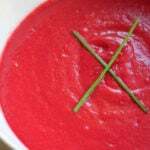 The bustling market provides a true feast for all five senses. When you leave the market, stroll down to the Parque de Malaga just a few blocks away. This century-old park runs parallel to the shore and consists of a lush green space full of beautiful plants, fountains and sculptures. 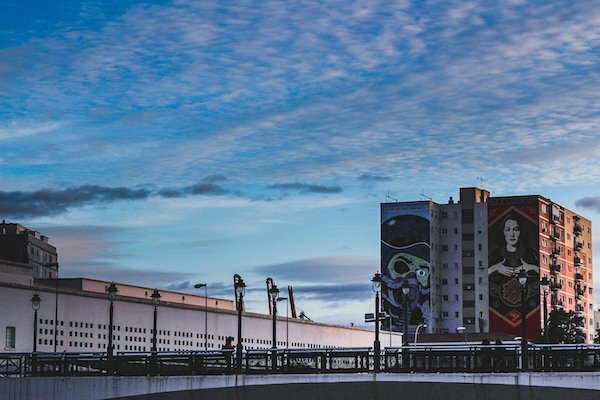 From here, you can also easily access two of Malaga’s best art museums: the Museo de Malaga (Plaza de la Aduana, s/n) and the Centre Pompidou Malaga (Pasaje Doctor Carrillo Casaux, s/n). Visit them both at your leisure and stop to enjoy your picnic in the park when you get hungry. 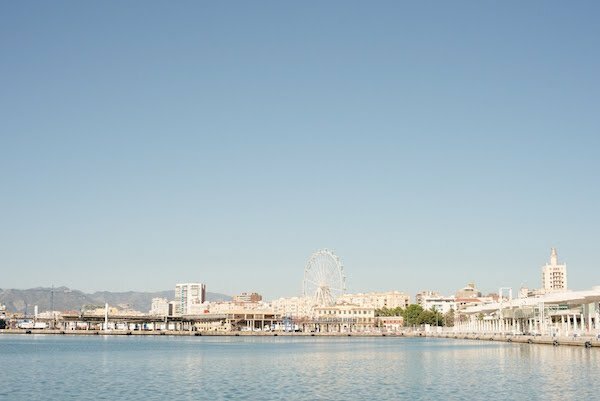 In the evening, spend some time exploring Malaga’s recently rejuvenated port area, Muelle Uno. The lively, colorful waterside area is a triple threat: it offers dozens of dining options, plenty of great shops, and some of the best views of the city. We can’t think of a better place to end your second of 10 days in Malaga! 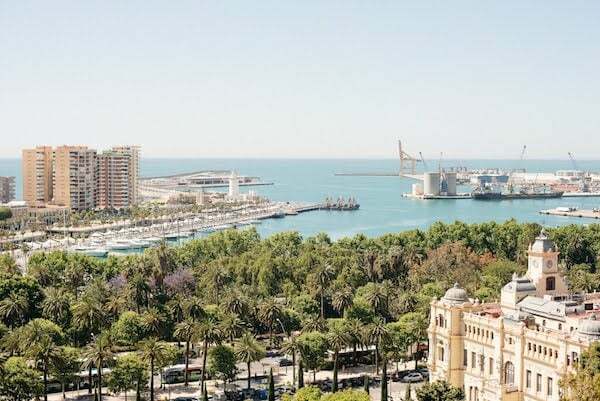 Malaga’s lively port area is the place to be in the evenings! Now that you’ve eased into the relaxing pace of everyday life, it’s time to start hitting up some monuments! The first will catch your eye almost immediately as you make your way into the city center. The Roman Theater (Calle Alcazabilla, 4) a spectacularly preserved ancient amphitheater dating from the first century BC, will transport you back in time to the days of one of history’s most iconic civilizations. The best part? It’s free! From there, you’ve got easy access to what might just be Malaga’s most iconic monument: the Alcazaba (Calle Alcazabilla, 2). As one of the best-preserved Moorish fortresses in Spain, it is a spectacular example of the era’s characteristic architecture. The views, which look like something you might see on a postcard, get even better as you make your way higher up within the fortress! 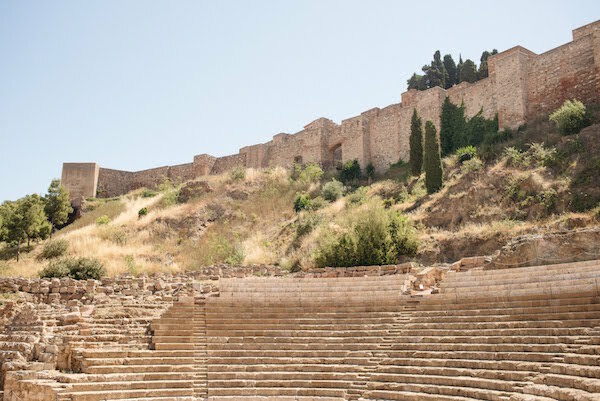 The Roman Theater sits right at the foot of the imposing Alcazaba. Be sure to buy a combined ticket to the Alcazaba and Gibralfaro Castle, the next stop on our itinerary. The two monuments are not connected, but you can reach the castle by bus or enjoy the steep but relaxing hike to the top. The 14th-century Moorish castle is home to the iconic view of Malaga from up above that you may recognize. Stick around and catch a truly breathtaking sunset with the city at your feet as evening draws near. The lovely views of the sea and city from Gibralfaro will take your breath away! So far, our 10 days in Malaga have been a happy medium between relaxing and sightseeing. It’s time to step out of your comfort zone! 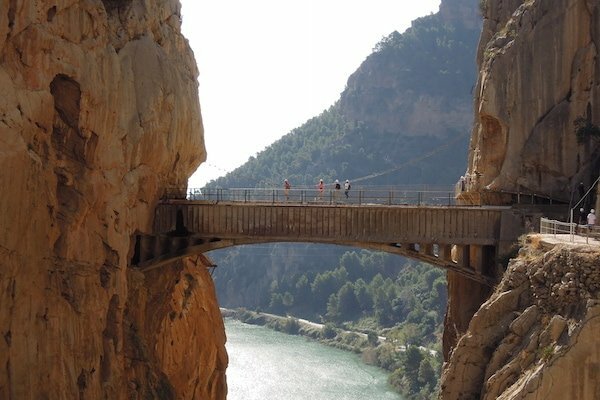 Drive or take the train to the Caminito del Rey, a challenging and exhilirating hiking trail that was once considered the most dangerous footpath in the world. Today, it’s perfectly safe and draws intrepid hikers from all over the world. As you make your way along the path, you’ll enjoy spectacular views of Malaga’s rugged mountains and have the chance to spot various examples of local wildlife. The experience is quite popular and tends to sell out months in advance, so plan ahead and reserve your visit online ASAP! Your 10 days in Malaga are halfway up! It’s time to discover more of the Costa del Sol capital’s most iconic and recognizable places. Start off with breakfast at the legendary Café Central (Plaza de la Constitución, 11), the birthplace of Malaga’s quirky way of ordering coffee. From there, head south along Calle Larios and enjoy the beautiful architecture and great shopping. After exploring one of Malaga’s most beautiful streets, head to the grandiose cathedral (Calle Molina Lario, 9) a few blocks away. It’s one of Spain’s most recognizable churches due to its uneven exterior (two towers were planned, but only one was built). The interior is a fascinating mix of Renaissance and Baroque styles and will take your breath away! 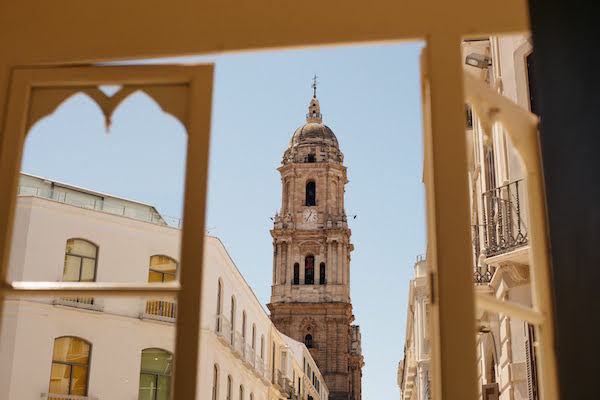 Malaga’s single cathedral tower rises high above the city center. End your day by paying tribute to one of Malaga’s most famous sons at the Picasso Museum (Palacio de Buenavista, Calle San Agustín, 8). Set in a gorgeous old palace, the museum’s collection spans most of the iconic painter’s illustrious career. You’ve checked most of the historic monuments in Malaga off your list. Now it’s time to see a different side of the city! Despite its seemingly prime location right between the Alameda Principal and the port, few tourists ever make their way to the up-and-coming Soho neighborhood. The result: a vibrant, colorful community of local artists and small businesses that makes for a great place to get off the beaten path. Start off at the Centro de Arte Contemporáneo (Calle Alemania, s/n), the most important museum of its kind in Malaga. From there, spend your day popping in and out of small galleries and charming boutiques. Grab lunch and dinner at one of the many family-owned bars and restaurants dotted throughout the neighborhood. You’ve officially been in Malaga for one week! Start off the seventh of your 10 days in Malaga by visiting Picasso’s birth home in Plaza de la Merced. The Casa Natal de Picasso now houses a small museum showcasing remnants from his family as well as a small selection of works by the artist himself as well as his father. When you get hungry, make your way to the newly renovated Mercado de la Merced (Calle Merced, 4). While a far cry from traditional Atarazanas, this gourmet gastronomic wonderland stands alongside it as one of the city’s must-visit markets. 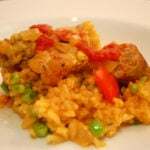 The stalls offer a delicious variety—everything from Spanish classics to modern international and fusion food. It’s also a great place to people-watch while you enjoy your meal! 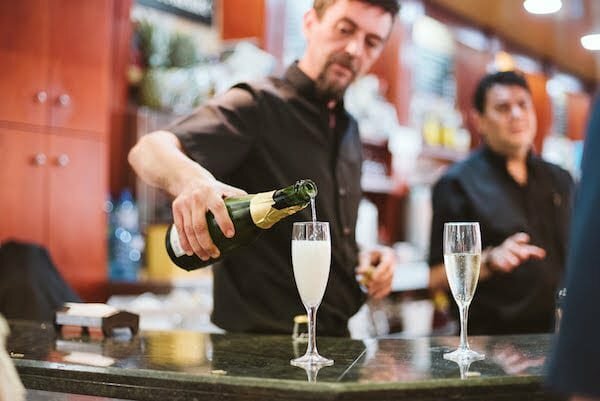 Sit at one of the market bars with a glass of cava and watch the world go by. In the afternoon, take some time for some well-deserved R&R at the nearby Arab baths (Calle Tomás de Cózar, 13). Finally, end your day with a show at the world-class Teatro de Cervantes (Calle Ramos Marín, 1) to round out a perfect first week in Malaga. It’s time to get off the beaten path again! Rent a bike and ride out to the historic fishermen’s neighborhood of Pedregalejo (a relaxing 20-minute ride away along the coast). 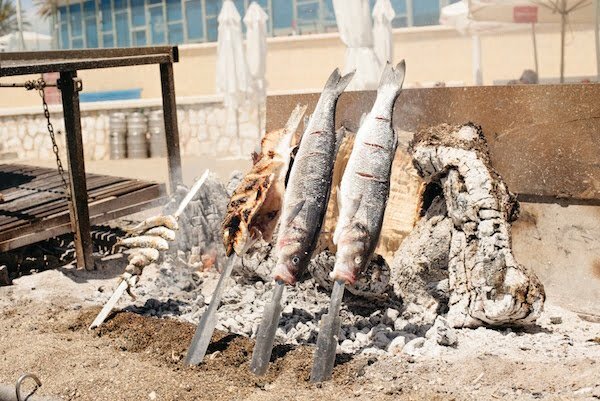 Spend the day exploring the quaint streets, relaxing on the quiet beach (few tourists ever come here) and eating espetos (Malaga’s signature barbecued sardines). 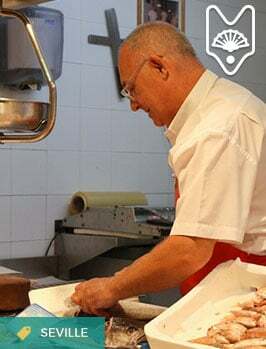 If you’re in the mood for a more active day, you can even learn to cook the tasty fish yourself at one of our favorite Malaga cooking classes, the espeto workshop at Andalucía Experiencias! No matter which option you choose, you’re in for a lovely day in one of Malaga’s most charming barrios. Some of the best espetos in the city come from the chiringuitos (beachside bars) in Pedregalejo! Now that your 10 days in Malaga are almost up, it’s time to take one last day trip! 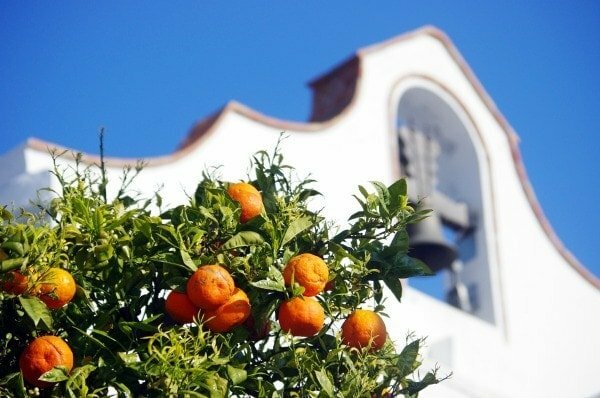 Our pick: Mijas, the quintessential whitewashed village just half an hour away from the city. Time seems to stand still here in this pristine town, famous for its dozens of artisanal shops selling handcrafted good such as jewelry, art, handbags and more. 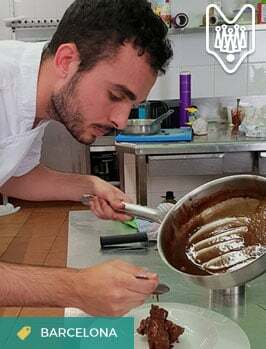 It’s also home to some of the best chocolate in the region thanks to the Mayan Monkey Chocolate Factory, where you can create your own candy bar! End your day at the famous balcony lookout with once-in-a-lifetime views of the Mediterranean. 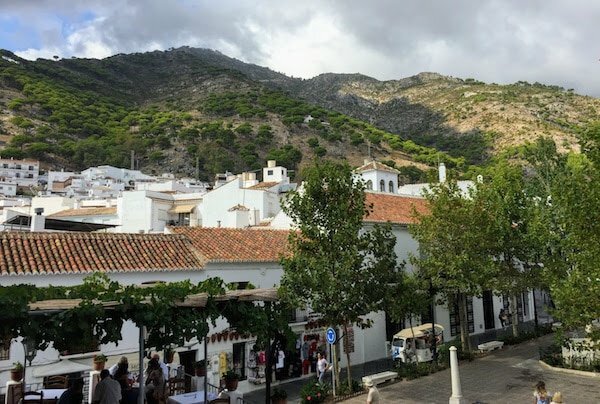 Mijas, a gorgeous oasis of whitewashed buildings and floral accents, features a prime location with the mountains on one side and the sea on the other. Make the most of your final day in Malaga by heading north of the city center to explore the lush, beautiful historic botanical gardens (Camino del Jardín Botánico, 3). Once a country estate, the historic complex offers a haven of peace and tranquility that beautifully complements the busy city down below. Be sure to get a picture of the iconic gazebo, one of our favorite romantic spots in Malaga! When you’re finished exploring, head back into town for one last tapas dinner for a delicious finale of your 10 days in Malaga. No matter how you choose to spend 10 days in Malaga, what matters most is having fun and embracing local culture. Our Tapas Like a Local Tour checks both boxes! This fun foodie evening will show you the secrets to a true malgueño-style tapas crawl. We hope you’re hungry!